A vision of providing quality speech and language therapy services is what drove Amy to create Triangle Therapy Services. Amy envisioned a company that would focus on developing relationships with both clients and their families so that parents feel empowered to be active participants in the process of helping their child achieve their speech and language goals. Therapists are able to provide services in the setting that is most beneficial for the child, including daycares, preschools, or in an office setting. We work closely with family members and teachers to encourage development and generalization in all settings of the child’s daily routine. We would love to partner with your family! Amy Echols is a native North Carolinian and a co-founder of Triangle Therapy Services. She completed her Bachelor of Science degree along with her Masters in Speech-Language Pathology from James Madison University in Harrisonburg, Virginia. 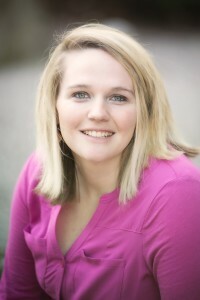 Amy has been a practicing speech-language pathologist for over 10 years. She has had the opportunity to work with the pediatric population in both the school system and also in private practice. Amy has extensive experience addressing the communication needs of a variety of speech and language delays/disorders. Particular areas of interests include early language development, articulation, and the connection between speech/language skills and early literacy. Amy is licensed by the board of North Carolina and has her Certificate of Clinical Competence from the American Speech Language Hearing Association. Amy lives in Cary with her husband and two children, Caroline & Carrington. Mar y-Kate is from Concord, North Carolina. She received her Bachelor’s in Communication Disorders from Appalachian State University followed by her Master’s in Speech-Language Pathology from the East Carolina University. Mary-Kate began her career working in Boston, Massachusetts for the Boston Public School System. After gaining experience with a variety of speech/language delays and disorders, Mary-Kate relocated back to North Carolina where she transitioned to the private practice setting. Particular areas of interests include early language development, articulation, and Childhood Apraxia of Speech. 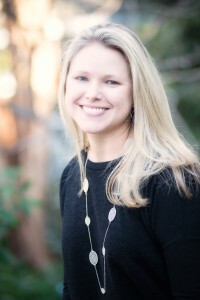 Mary-Kate is licensed by the board of North Carolina and has her Certificate of Clinical Competence from the American Speech Language Hearing Association. Mary-Kate currently lives in Durham with her husband John.